I was also intrigued with the actions and reasoning of the secondary characters. I enjoyed the story as a whole. I especially love Jacob and what he offers to everyone. He’s come out of his shell with each book he’s overcome so much and does so much to be part of Savannah’s group!! 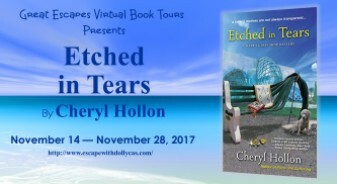 Etched in Tears is another well-written book with many twists and turns, leading to an enjoyable, yet heart-breaking, read. 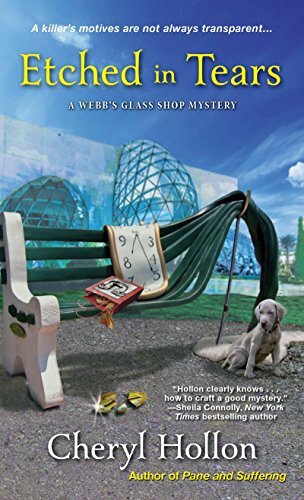 This book felt a bit more emotionally heavy than the others in the series, yet it is still Cheryl Hollon at her best, delivering a wonderfully crafted cozy mystery. I really enjoy the wide range of character personalities. Jacob and Suzy are the real stars of this story. His ongoing development shows Cheryl’s true depth of character development in a way that few authors truly embrace. I thoroughly enjoyed this book. I love Savannah and Edward and all the other characters in these books. They’re well-rounded, developed, complex characters who are just a lot of fun. 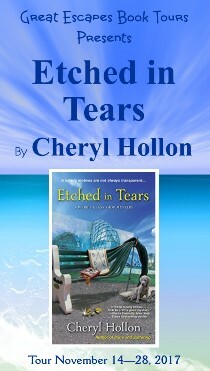 Etched In Tears is was a fast-paced and twisty ride. 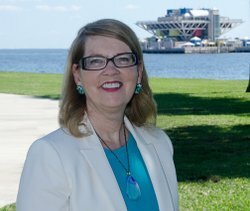 Salvador Dali museum? Not shabby.